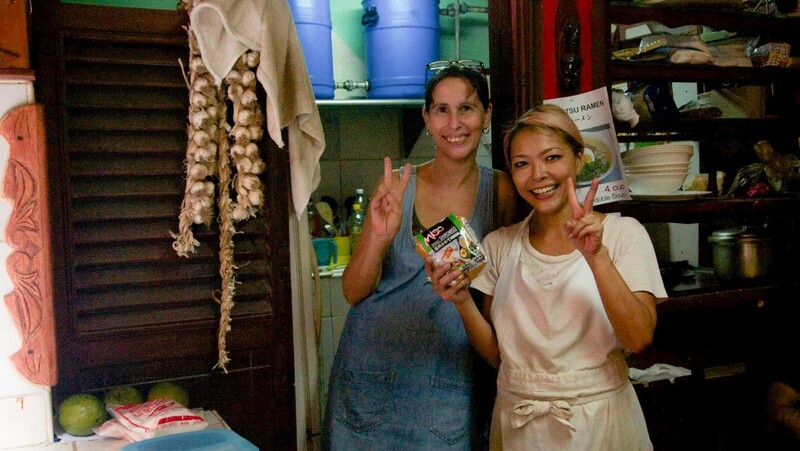 In one of our last posts, we wrote how a Japanese entrepreneur, Noriko, opened a Japanese stall in Havana, Cuba, and how she was having trouble acquiring some ingredients. Well, one of our readers read our post, and delivered ajinomoto and miso paste to Noriko recently! She’s really thankful, and here are some photos. Also, Noriko’s restaurant is moving, but will still be in central Havana. If you see her, please update us with her new address. Thanks! Cuba is an incredibly popular vacation destination for Canadians because vacation packages are cheap. Havana, in particular, is very interesting – it’s full of culture, dancing, art, architecture, and interesting people. During our stay in Havana, we met many locals, got familiar with the local art scene, and tried out some of the newest restaurants. For a long time, Cuba’s food has been pretty bland, partly because imported spices are difficult to acquire as well as government regulations on restaurant privatization.